The New Zealand Women’s Match Racing Championship is shaping up to be the best in years, with a stellar international line-up already booked in to compete. The event will take place at the RNZYS from the 9th – 12th February 2019 and all match racing will be completed in the Squadron’s fleet of ten Elliott 7’s. Currently the RNZYS has 9 teams entered to take part, including three from New Zealand, three from the USA, and three from Australia – making this a genuinely international and competitive line-up. Joining us down under from the States is Allison Blecher from the California Yacht Club. Blecher is the highest ranked female match racer entered to date with a ranking of #17, and is a very experienced all round sailor. She recently finished second at the 2018 US Women’s Match Racing Championship at the St Francis Yacht Club, and also keenly competes in the 49erFX and Laser Radial classes. Blecher will be joined by fellow American’s Marilyn Cassedy (ranked #38) – also from the CYC – and by Bridget Groble from the Chicago Yacht Club. Three up and coming youth sailors from across the ditch have also thrown their hats into the ring. The first is Juliet Costanzo from the Royal Prince Alfred Yacht Club. Costanzo is familiar with match racing at the RNZYS after competing with her sister Clare at the 2018 Nespresso Youth Match Racing Championships. Charlotte Griffin from the Royal Sydney Yacht Squadron and India Howard from the CYCA are the other two, both of whom have sailed out of the RNZYS before and are entered into the 2019 Nespresso Youth International the following week. Leading the New Zealand contingent is the NZ Women’s Match Racing Team helmed by RNZYS YTP sailor Celia Willison. Celia has had some great success recently, winning the Hardy Cup in Sydney with an all-girl RPAYC team as well as winning the Harken Youth International with an RNZYS YTP Team. 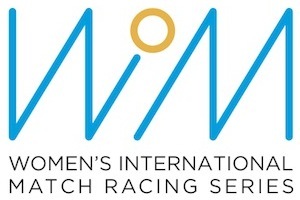 The NZ Women’s Match Racing team competed at the WIM series event in Helsinki earlier this year and they will be looking to win this event and cement their status as the top female match racing crew in NZ. RNZYS Youth Training Programme Sailor Megan Thomson has signed up to race too, and is starting to gather form after finishing 2nd at the RNZYS Women’s 50 50 Regatta in November as well as some solid results in various overseas regattas. Lastly we have the experienced Susannah Pyatt who will be very tough to beat. Pyatt is likely to be the oldest skipper in the fleet and has a vast range of match race and sailing experience, including representing NZ in match racing at the 2012 Olympics. She has also organised a pretty quality crew that includes Olympic gold medallist Polly Powrie. The quality of entries is also going to be very well complemented by the quality of on-water umpires who are set to be led by legendary Chief Umpire Roger Wood. The RNZYS is still accepting late entries into the regatta, so if you would like to enter a team please fill out an expression of interest form HERE and join us for what will be a superb Women’s sailing event at the RNZYS in two months’ time.